Accelerate into next-gen computing. 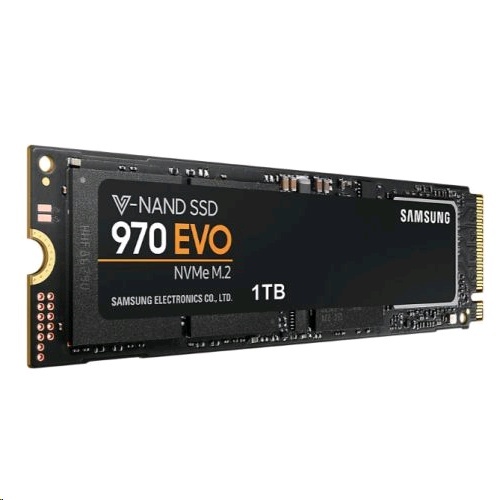 The Samsung 970 EVO delivers breakthrough speeds, best-in-class reliability, and a broad range of capacity options up to 2TB. The latest V-NAND, new Phoenix controller, and Intelligent TurboWrite technology enhance high-end gaming and 4K and 3D graphic editing. appear in high-speed situations. The new technology is up to 32% faster than the previous iterations of the Samsung cards, which means that you'll see optimum performance when you need it most. high-intensity usage so that you don't suffer an unexpected performance drop when you need it the most. knowing that this will be a worthwhile upgrade to your computing system. 1TB NVMe M.2 SSD as well as giving tips to optimise performance.